Since I started learning to use coupons a few years ago by taking a class with My Coupon Expert and reading many blogs, I learned I could purchase items I normally wouldn’t put out the money for. One reason being they are expensive gadgets, even though I LOVE gadgets, and because we are on a tight budget. 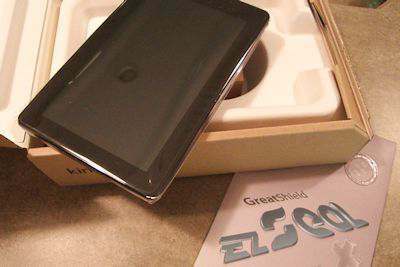 I started drooling over the Kindle Fire when it first came out because I knew I could never afford an iPod and the Fire seemed to have everything I wanted for $199 (January 2012 price). But, how was I going to be able to afford an item like that? Then I remembered what I had learned on all the coupon and saving websites about taking surveys and other things to save points for Amazon gift cards. And so it began in January 2012. MyPoints – My favorite of all the things I use to earn gift cards. I have earned over 118,000 points and have been a member since 2002. All you have to do is when you are shopping online, be sure to stop by MyPoints and check to see if the online store you want to use is sponsored by them. One of my favorite ways to earn is ordering things from Walmart, go through MyPoints first and have it sent to the store. Free Shipping and I usually go there 1 or 2 times a month anyway. There are so many ways to earn a lot of points with them. You can also print your coupons and take surveys for points. They also have a great Refer-A-Friend program to earn points. 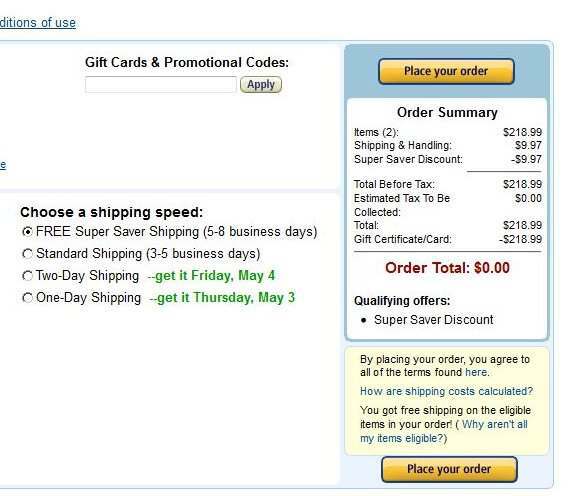 Swagbucks – Really great way to earn $5.00 Amazon gift cards very quickly. All you have to do is search online with their search area and you earn points. They also have videos to watch, coupons, polls and other ways of earning points. I have the surveys sent to my email. PineCone Research – I have used PineCone Research for quite some time now and love it. I always look forward to their surveys and I have often received products to try and use. You are paid $3.00 for each survey you complete and you can either cash out to PayPal or buy other items. I prefer to cash out to buy Amazon gift cards. They are by invitation only and all you have to do if fill out the Registration Form and wait for them to contact you. You can also contact scott@pineconeresearch.com if you have any questions. Opinion Outpost, Valued Opinion and I Say are 3 other survey companies I use. All 3 of these I have been with for quite some time and very reputable. You will get a few of these a day in your email and I would suggest having a dedicated Gmail account just for your surveys. You only receive credit for completed surveys. I Say has a great prize program where you take a poll after each survey, whether you completed or not, for some really great prizes which are given away each month. Global Test Market – I just started using this survey company a few months back. You have to earn enough points to equal $50.00 before you can cash out. This one takes a bit longer to earn what you want, but its worth it when you see $50.00 in your account. I have to admit, I thought I would never get to the $50.00 amount and it took a few months, but I also didn’t do a lot of their surveys. Also, they tend to send more emails than the others listed above. Ipoll – I am always looking for better survey companies and Ipoll is not turning out as I thought. They don’t have very much to offer as in gift cards and you can’t cash out in PayPal. Maybe in the future, they will build their rewards, but at this time I can’t recommend them. 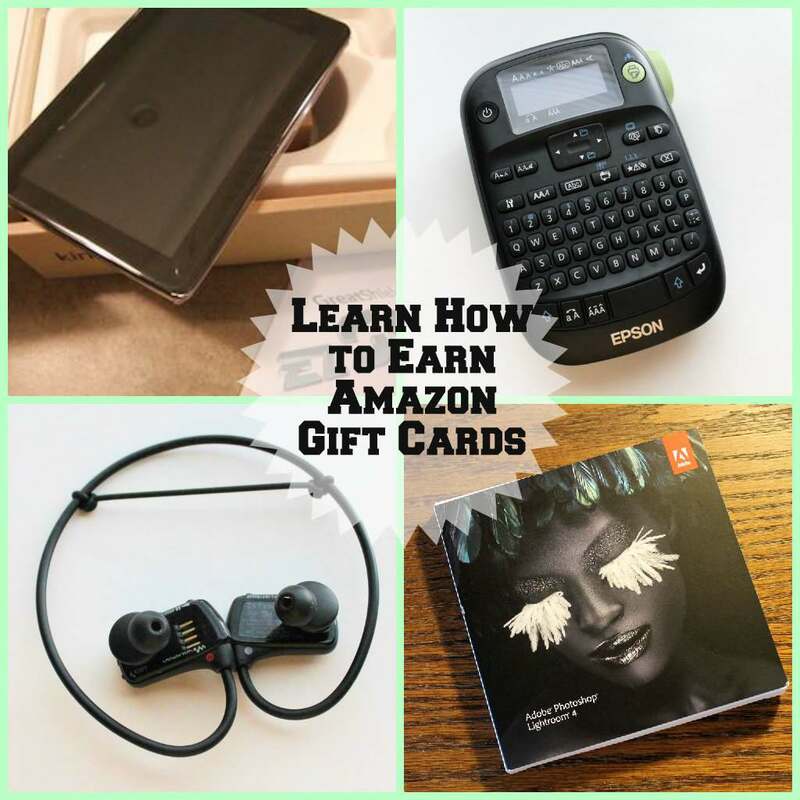 MyPoints – I recently started using this with my Weather channel app and you can earn Amazon and other nice gift cards, but again, this one makes you work hard for your money. I use this quite often when I check the weather and I don’t even have $1.00 worth of credits yet. Something to read and check out before you decide. If you use a lot of different apps that mPoints is part of, then you could probably earn credits a lot quicker. SocialSpark – If you have a blog and love to review items, sign up with SocialSpark. I have been with them for many years now and receive offers often. They have really nice sponsors and I love when I receive their emails for leads or actual offers. And for those of you who love their apps, there are a few of the survey companies above who offer apps to use on your smartphones or devices. I know this sounds like a lot to do to earn credits, but remember I only do a couple of surveys a day, use the Swagbucks search engine and when I know I will be purchasing online, I go through MyPoints. After you get in the habit of doing these items, it will seem like part of your everyday computer journey. Now, would you like to know what I have purchased with my rewards since January 2012? None of that $422.54 came out of my pocket!! My last purchase was the Label maker and that was in August. 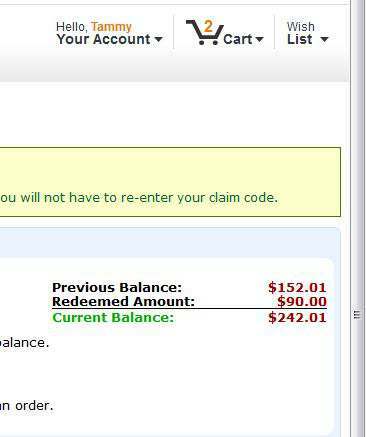 So, in 18 months, I was able to earn over $400 in Amazon credits doing surveys, searching and buying online!! Something which only takes a few minutes out of your day. Below are screenshots of Amazon gift card amount and when I checked out after purchasing the Kindle. I also purchased a screen protector. Order amount for Kindle – ZERO! This defiantly makes Mr. G smile knowing we can still be on a budget and have a few of the nicer things in our lives. And I love the feeling I get from really earning these items and not taking away from our budget. This would be a great way to teach teens how to earn money for their “luxury” items. Anyone can do this! With a little time, planning and most of all, patience, you could earn enough credits for Christmas or birthday gifts or something special for yourself. Please let me know if you have any questions, I will be glad to help you learn too. OH – Already thinking ahead and have about $140.00 in MyPoints for a future Kindle Fire 9″!! I love that you were able to save your points to get big gifts for yourself. I myself, am always to impatient and tend to splurge on a bunch of little things. Awesome job. Thank you. I use to be impatient, but I think getting older has helped with that a lot. I keep hearing about Swagbucks but this is the first description of how they work that actually makes sense to me. Thank you! I love that you can use it everyday and not really realize you are adding points. I thought you might want to know your Swagbucks link is broken, though! Thanks for letting me know. It helps to make sure there are 3 w’s and not 2. I’m definitely going to check out mypoints. I’m bookmarking this post! This information is too good to let slip by. Thank you for learning all of this and then passing it on so others can learn it too! Thank you. I figure if I learn something helpful to someone else, why not pass it along. Neat! I used to do Swagbucks but as the children have multiplied I’ve ran out of time. (I have eight children ages 12 years down to 2 months). I think this would be a great way to get some money saved for Christmas though. I think I’ll talk over the idea with my hubby and figure out a way to start…. thank you for the encouragement. Just use Swagbucks for the search engine and you will rack up the points before you know it and Christmas gifts for those lovely 8 children you have. Bless your heart!! Amazing! I wish we had this kind of things in Europe. I would definitely be participating. Buying things with money you have saved up or earned through coupons must be so much more rewarding than using your credit card whenever you fancy something. Well done! Waw, Tammy, this is pretty awesome! Thanks for the info. Thank you. You will love SocialSpark. I have used many of these, and they really are great tools to make some extra money. I love MyPoints, especially when certain retailers will have bonus points for a limited time. Problem is, I forget to check there first 99% of the time before I go make my purchases! Oops. I had that problem too when I first joined up but learned very quickly to remember. They also have a toolbar now that helps with that. I always start with these sites and am on mypoints and swagbucks but just forget about them and don’t really have the time to follow through. My friend uses swagbucks and has earned hundreds of dollars. It’s definitely worth it if you remember. Any tips on sticking with it? I had problems remember too and downloaded their toolbar to help me remember. Its really useful and you get points for just downloading the toolbar also. How often do you get survey offers on pinecone research? Often. Most of the time 2 times a week and sometimes more. I also receive very nice products to review from them very often. They are worth a try. I know that doesn’t sound like much, but when you do more than one survey company and other things I mentioned (plus there are many others out there), in the end it adds up totally. Yay! That is so cool! I use swagbucks and mypoints but not as much as I can. Swagbucks has helped a lot. Pinecone is one of my favs. I like getting at least 2 surveys a month. Way cool! Cyber high five!!! Love reading true stories of how these programs work online. Also love your honesty about survey companies – I’ve tried many myself and some just flat out annoy me b/c I never qualified and it was just a waste of time. Swagbucks pays for a lot of my Christmas presents! Great list of websites to earn gift cards. I love using “free money” to buy things on Amazon, too! Thanks for the awesome tips! I use a few of these services and have racked up a TON of amazon gift cards! This is a great reminder to get back into swagbucks and a few others! My boys each want a kindle fire, so I need to get on it! Great tips and thanks for showing me a world that I didn’t know existed. The possibilities really are endless for bloggers, aren’t they? I use a few of your suggestions already and will have to look into the others. Congrats, you’ve done really well with it! I used to be so on top of Swagbucks and then I fell off using it when I got busy with my blog and children and everything but I definitely need to keep on top of it because I have quite a few points as it is! So good to know! I love Amazon, and since we have a Prime account I buy most things from there, so I’ll have to try out some of these. Thanks for posting! I’m a huge swagbucks fan. I use it to earn Amazon gift cards that I give out as Christmas gifts. I use eBates – hadn’t heard of Mypoints. I just signed up! Thanks. I too use SwagBucks to earn Amazon gift cards. It’s so easy to use, and if you’re diligent, the points can add up quickly. I also earn Amazon g.c. through Bing’s rewards program. It takes a bit longer, but hey, it’s free money! I believe most of these sites are US only but it is very good to know that people really make money with them. What a great idea! I haven’t heard of My points before but my son told me it was possible to earn points on Bing although I haven’t checked it out yet. Doesn’t it take a lot if time? Yes it does take a lot of time. That is why I use many different avenues as I listed above. I use surveys that offer Amazon gift cards for rewards. After a few months that will add up. Thanks for stopping by. Very impressive and very inspiring. I am so up for this! Thanks for this post. It’s always nice to get paid for doing things we do anyway. We’ve used most of these, too. I use MyPoints and Swagbucks but I also use eBates for my purchases. I love getting those rebate checks back. Wow, what an inspiring story! I’m surprised that you didn’t list Ebates. I actually have Ebates as my browser, so when I click on Google it automatically opens us, that’s so I won’t forget to shop through them. Sometimes it’s annoying especially when I don’t have anything to shop for or money to spend but I can always look forward to receiving a check from Ebates once a month….. great story! I have used ebates in the past, but it seemed MyPoints had more online stores to use and the points seemed to accumulate faster for me. Ebates is great and I should’ve added that to my list, but its not one I use often to make enough points for gift cards. But thanks for reminding me. This is so fascinating! I only use Swagbucks. I have redeemed $75 so far this year and was about to redeem again, but you’ve inspired me to hold onto them for a little longer, and maybe switch to amazon instead of paypal since it is a better deal. Thanks! Awesome tips! I can’t wait to check out some of the websites you suggested! Thank you!!!! Awesome ideas. I am always looking for ways to save money. I’m thinking it might be a good way to buy Christmas gifts too. I love this post! I’ve been wanting some ways to figure out how to earn some extra fun money. I signed up for mypoints a long time ago, but haven’t really done anything since. I just heard about swagbucks this week, so I’ll go there for sure since I am constantly on the internet searching searching searching. Try using MyPoints toolbar to help you remember to use them. You also get points for putting it in your browser. I used to do surveys and point programs all the time. I paid for Christmas that way so many times. Love MyPoints, that was one of my favorites. I really need to remember to use SwagBucks more often. Everyone raves about them, but I forget to do the stuff to get the points all the time. Thanks for the tips on the other places! Smart ways to keep on the budget but still get some nice things. I won my Kindle fire and am trying to win an ipad. It’s not in the family budget so I search for other ways to acquire a few gadgets too. I’ve never heard of using points, definitely need to look into this. So nice to get all of those goodies for free. Great way to budget! I have used swag bucks and a couple other programs, but I Really need to get back into it. Thanks for sharing your favourite ways and how you earned your reward! I use mypoints and swagbucks and love them both! thanks for sharing your successes and opinions on the sites you have tried! Very impressive! I love Swagbucks and MyPoints. I don’t seem to have as much luck with the survery sites as I’m usually on the outside of the demographics they need. Thanks for this great list!! Such an awesome way to earn some Christmas money! I have earned Amazon gift cards with Swagbucks but honestly forgot about it for a long time! I’m going to check a few of these out! Thanks!!! I’m familiar with some of these and new to others. Have you used Ipsos I-say? Yes, I do use I-say and I’m sorry I didn’t write about them because I recommend them highly. I love their poll at the end of each survey and chance to win prizes even if you don’t qualify for a survey. I use my points for Amazon GC’s their too. It takes 1000 points for a $10 GC and they do have a good selection of GC to choose from.